We are one of the leading exporters of Papad’s. Owing to their rich and distinct taste, these papad’s are appreciated by our clients all over the globally. 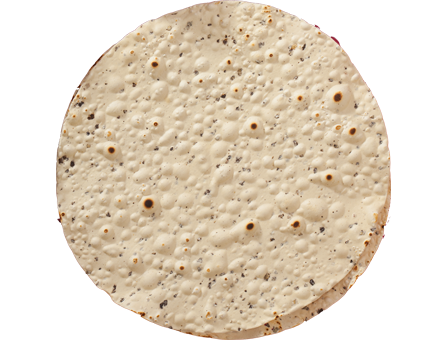 Our papad’s are largely in demand in hotels and restaurants as snacks & appetizers. Our papad’s are prepared at the vendors' end from quality approved ingredients as per the standards set by the food industry. Our wide range of Papads include Urad Papad, Moong Papad, Punjabi Masala Papad, Jeera Papad, Garlic Papad, Black Pepper Papad, Madras Papad, Mathiya Papad, Plain Urad Papad, Green Chilli Papad, Red Chilli Papad, Garlic Chilli Papad, Black Pepper Papad, Jeera Papad, Punjabi Masala Papad, Moong Papad, Madras Papad, Appalam Papad, Rice Flour Papad, Mathiya Papad.